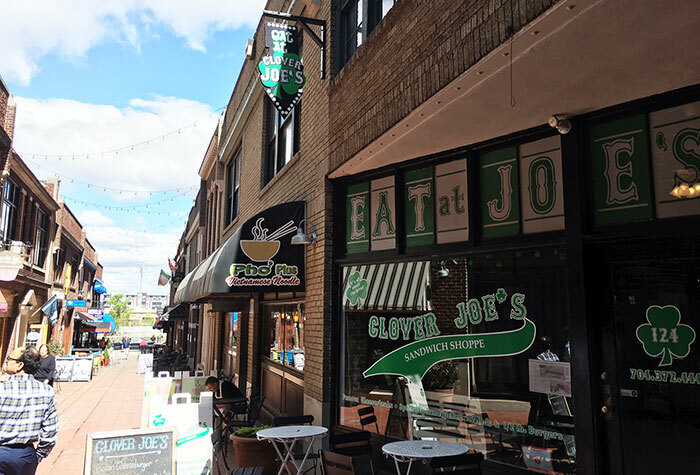 Clover Joe’s, located in Uptown’s Latta Arcade, has the No. 1 cheesesteak in Charlotte. 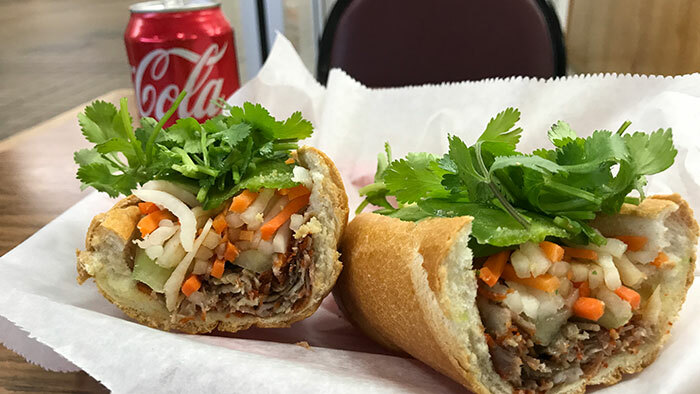 Kathleen Purvis over at the Observer did a tasty write up ranking the top cheesesteaks in Charlotte (Lee’s Hoagie House, Clover Joe’s, Joe Mamma’s, Philadelphia Deli, and The Steak ‘N Hoagie Shop). It’s an A+ list, but I’m a Clover Joe’s guy. Just look at this $7.25 cheesesteak. An 8-inch piece of heaven! 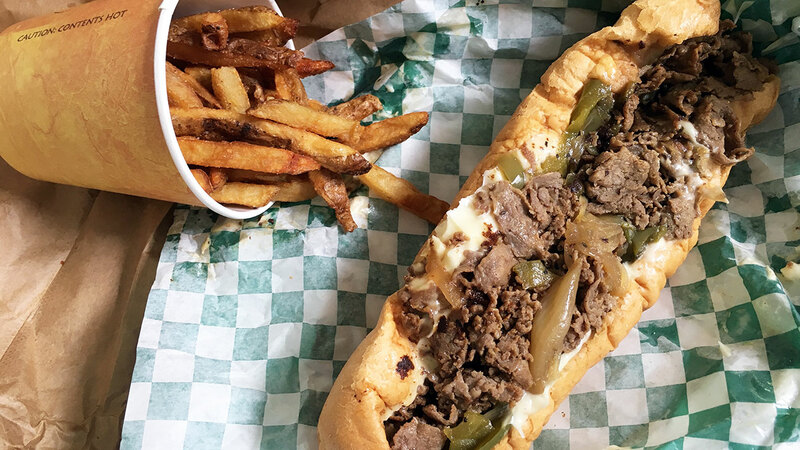 When you walk inside Clover Joe’s, you’ll see bankers and construction workers crammed into the tiny ordering room waiting for their cheesesteak. 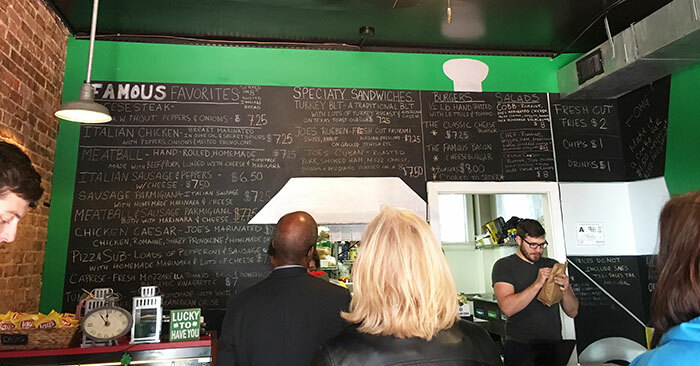 There are no tables inside Clover Joe’s – it’s a grab and go spot. And it’s crowded, don’t be overwhelmed. 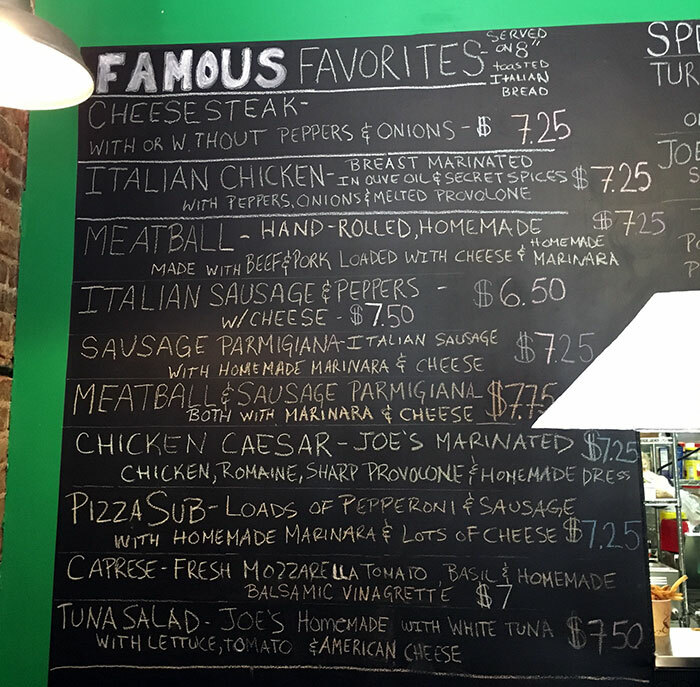 Up on the wall are Clover Joe’s famous favorites. Fries cost an extra $2 and drinks cost $1. 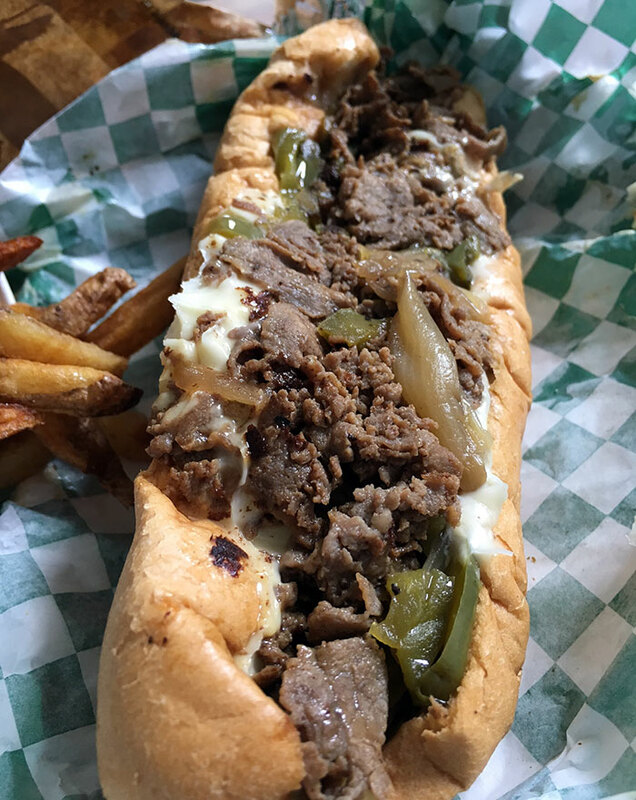 I’ve heard the Italian Chicken is delightful, but don’t be fooled, order the cheesesteak with peppers and onions. Once you eat Clover Joe’s, expect visuals of this bad boy to pop into your head in late morning at work as you daydream.